Find out everything that's happening in Halifax Hollow! Farm pictures and projects, kitchen recipes, and our virtual farm stand all await you! 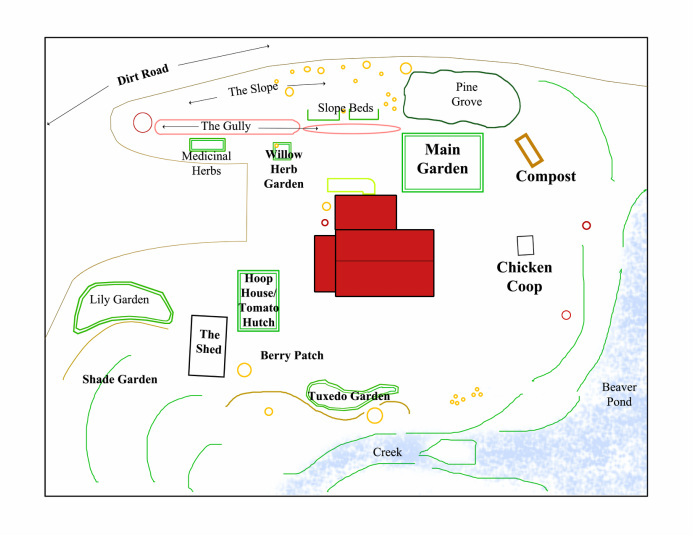 Halifax Hollow Micro-Farm is many things. It's an experiment. It's viable agriculture on a small scale. It's property management. It's design. It's sustainability. It's what's for dinner. Obviously, these are all generalities, but this project aims to create and share information, process and the work it takes to create and sustain a "micro-local" lifestyle that provides food, a dynamic landscape, and a cleaner, greener lifestyle that both we and the land we manage benefit from. Halifax Hollow is located in Southern Vermont, in a tiny knell in between the Green Mountain foothills and the drop-off into the Connecticut river valley. We own a little over 1/2 acre of land with an 800 sq. foot log home. Mostly cleared, boarded on the east and south sides by a beaver dam and small stream. The southwest corner of the property is marshy along the stream bed but transitions into a small patch of mixed wood forest, and the north bank of the property slopes sharply to the dirt through-road we live on. all material is original and rights retained by the creators of this content!